I have a PLS!80 and it should be pretty good for doing that. How big is the floor and what else to you plan on using the level for? PLS are the best out there, but you might want to check into the dewalt dw087k. It's +/- 1/8 @ 30' if that will work for ya. ditto the dewalt. i have it and am happy with it. get the glasses to go with it for exterior work. 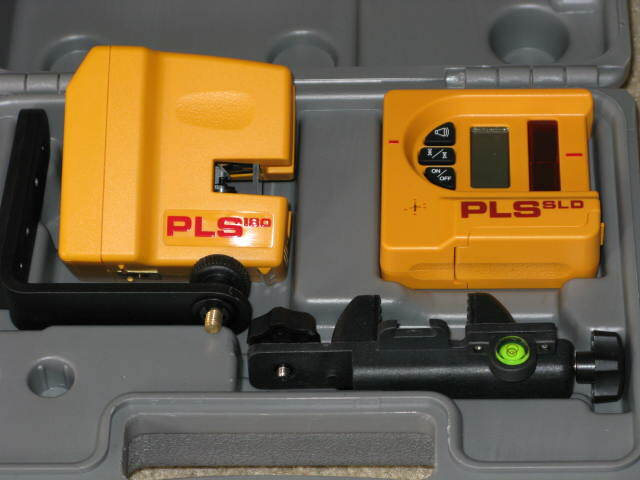 i don't need a laser level more than a few times a month so it didn't make sense to pay almost twice as much for the pls. I to am a PLS180 man. I use my dewalt almost everyday. pretty much replaced the stabila. ditto the dewalt. i have it and am happy with it. get the glasses to go with it for exterior work. I got mine when they first came out ($275), so I didn't get any glasses. i don't need a laser level more than a few times a month so it didn't make sense to pay almost twice as much for the pls. That's the key--he's a floor guy and not needed one (or often enough) until now, so it's not like he'll use it a lot, so why spend the money just to do one room's subfloor? Because it has many uses. Assuming the purchase isn't going to put you in the poorhouse, I think that's false economy. Sure, you can get by with levels & strings, but that's significantly slower and less versatile than a laser. With a laser, you're going to be more efficient, probably more likely to take the extra step to produce better work, and you will find other uses for that laser as well. A handsaw is seldom more efficient than a power saw. Why not just get it close and then use self leveling material to make it nice and pretty? Because then he wouldn't need to buy a cool new toy. I use a Robo-Laser that I've had for about 12 years now. It's not a rotary but it does go around (slowly) and only puts out one beam. You spin it with a remote control. It's great for shooting down a beam or shooting a grade. It's a little slower than a rotary but I'm used to it. I think I paid about 250 back in the day for the Robo-laser. and Leo's "it can be used for other things" are what I tell my wife all the time when the brown truck stops off in front of the house. So far those have worked, but some day soon she may catch on those don't have to apply to everything I buy.